Minister of Labour and Social Security, Hon. 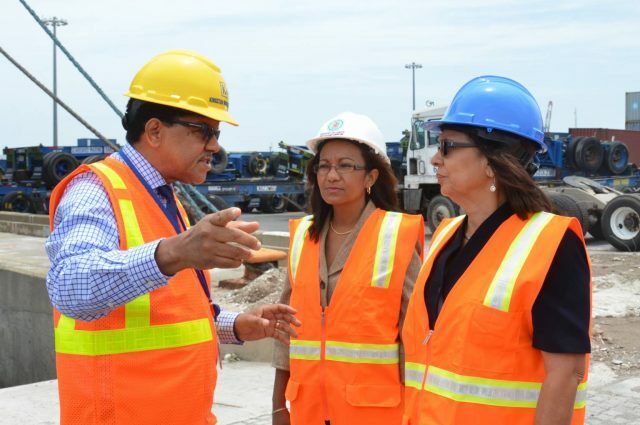 Shahine Robinson (right), listens as Chief Executive Officer of Kingston Wharves Limited, Grantley Stephenson, outlines the operations of the entity, during a tour of Port Bustamante on Wednesday (May 25). At left is Permanent Secretary in the Ministry, Colette Roberts Risden. Minister of Labour and Social Security, Hon. Shahine Robinson, has hailed the Joint Industrial Council (JIC) of the port of Kingston as a model for good industrial relations. JIC was established in 1952 as a forum for management and unions representing port workers to meet and decide on labour matters. The council is the first and oldest of its kind in Jamaica and the Caribbean. Addressing the monthly meeting of the council at the downtown Kingston headquarters of the Shipping Association of Jamaica (SAJ) on May 25, she said JIC has dedicated itself to harmonious work relations as well as the growth and development of the nation’s port and shipping industries. JIC was established in 1952 as a forum for management and unions representing port workers to meet and decide on labour matters. The council is the first and oldest of its kind in Jamaica and the Caribbean. “The progress which can come when capital and labour unite has been vividly demonstrated by the JIC, making it a model for replication,” Minister Robinson said. She noted that the Government is striving for industrial harmony in order to boost productivity and capitalise on the benefits from the establishment of a logistics industry. Minister Robinson pointed to the need for trained, certified and competent workers as the country responds to the challenges of growth at the ports and urged the JIC to do its part in preparing its workforce for the growing maritime industry. He informed that the SAJ has been approved by the National Council on Technical and Vocational Education and Training (NCTVET) for the past eight years as a private training organisation. “During a particular period, we found that when the work was reduced, instead of terminating our staff, we took the view that we should train them for the future that we knew would come. We have trained in the region of 300 workers and we are increasing that number. Almost all our employees are multi-skilled,” he pointed out. Following the meeting, the Minister toured Port Bustamante, including the Kingston Container Terminal (KCT) and Kingston Wharves Limited (KW). Chief Executive Officer of KW, Grantley Stephenson, said his organisation is taking steps to be compliant with safety standards in preparation for the passage of the Occupational Safety and Health (OSH) legislation. He said the measure includes a focus on wellness, as it was found that many accidents were as a result of workers suffering from health conditions such as diabetes. 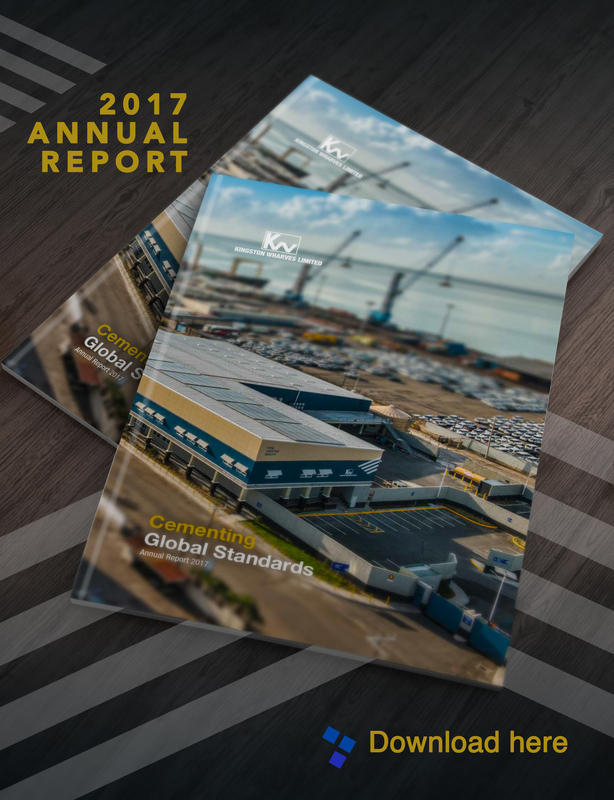 Minister Robinson congratulated KW on its progress towards compliance with the OSH standards and assured the entity that it has the full support of the Ministry in this regard. The Labour Minister said she is committed to the passage of the OSH Bill. The visit was one in a series of familiarisation sessions by the Minister with partners and stakeholders of the Ministry.